With almost one million members, NamePros is the largest domainer community forum on the Internet. We are pleased to be interviewing Edward Zeiden, Senior Director of the community, who shares with us a lot of details about his background, function and the future of NamePros. Edward Zeiden, Senior Director at NamePros. DomainGang: Edward, please share some information about your background as a professional, within or outside of the domain industry. Edward Zeiden: My professional history can be broken down into three categories: domaining, business consulting, and film production. After studying business economics at UCI, I sought a change of pace and moved to Hollywood. I co-founded a small production company named “sixhundred” as a producer specializing in shorts and music videos. I eventually segued to commercials, infomercials, and also produced a short web series on COMINGSOON.NET. Over time I grew tired of the more monotonous tasks and the too often 24-36 hour physical work sessions, so I followed an opportunity with one of my old business partners to transition into the domain industry. I subsequently co-founded NameLayer, a curated domain inventory for startups and tech businesses. I gained most of my domain industry knowledge from parsing through thousands of names every single day in pending delete lists, auctions, and NamePros. Also, reading news outlets like DomainGang and MorganLinton.com allowed me to keep a pulse on the industry. After NameLayer was strategically acquired by TechStars, I wanted to gain perspective on how businesses operated from the inside across a variety of industries. From investing in the stock market, I knew what was required from financial statements and quarterly reports, information that could make or break a company, but I wanted experience working with entrepreneurs to build their companies from the inside-out. I joined a mergers and acquisitions consulting firm to foster growth in startups and solidify brick and mortar businesses for the M&A process and exit through financial modelling, various marketing endeavors, and improving efficiency. Reflecting on my experiences in these three very different fields, I found myself wanting to focus all of my expertise into one venture that never left my sights: NamePros. DomainGang: Currently, what is your role at NamePros, a domain industry community with one million members? Edward Zeiden: My position as Senior Director is to handle the business-end of NamePros. I foster strategic partnerships, come up with marketing campaigns, assist with budgeting, employees, business development, perform market analysis, help implement and foster new ideas, communicate goals to team members, and take care of other miscellaneous daily operations. With a community this size, it’s largely a team effort when it comes to moderation, development, and ideas. DomainGang: On a daily basis, what types of tasks and issues do you address on behalf of NamePros? Edward Zeiden: I like to be hands-on in most facets of the company by rolling up my sleeves and working on any task where I can help. In addition to the previously mentioned items, I go through all the domains submitted to our free Promoted Auctions tool and handpick the ones that make it to site-wide advertising. I also try to reach out to one new person each day about NamePros. They can be someone that’s already on the site, an “uninitiated” individual just looking for a name, a new domain investor looking for a community to learn from, or a domain veteran that may not realize all the benefits of joining our community. Things at NamePros have notably changed for the better in the past two years, and I want to make sure people and other businesses are aware of that. DomainGang: Since your involvement with the NamePros domain community, what has changed, improved and expanded, as compared to its recent and distant past? Redesigned the appearance with multiple styles to choose from. Most recently, we added a Liquid Domains section that has garnered attention. It was an idea sourced from Raymond Hackney, and quickly implemented by our dev team. Suffice it to say, new ideas from our community and team are taken seriously! Publish weekly digests of the most popular discussions within the domain community, named Top Topics.  Added site-wide promotions of domain auctions for all members – Free! DomainGang: What is the strongest element of the NamePros community, and how do moderators preserve and manage the extensive number of members? Edward Zeiden: Most people might say the domain industry’s high margins, low barriers to entry, and the potential for exponential growth are what attracts them to it. For me, the single most important element of the domain industry is the people. Quite literally, from an economics standpoint, the network effect is the largest part of what makes our community so strong and benefits those who join. I have yet to find another industry where individuals are so apt to help one another, where competition and rivalry is friendly, and where everyone actually has the ability to communicate with industry leaders and veteran investors via a single platform: NamePros. As the largest and most active domain community, we see this culture demonstrated by members every day. Our 20+ veteran moderators carefully safeguard the integrity of the community by curbing toxic comments on a daily basis. Delegation, teamwork, and experience are key to preserving the amicable educational environment. We strive to constructively correct those who make mistakes and deter the very few with malicious intents. We also spend a substantial amount of time listening to our members so that we understand what’s important to them. Then, we do our best to provide a solution that meets their needs. Unlike most industries, the domain business is about much more than a process or product: it’s about people. We make it a priority to keep this in mind while we continue to scale for growth. DomainGang: What will be the direction that NamePros will take in the future? Any participation in industry events, conferences? Edward Zeiden: NamePros is currently working on several large-scale projects, and one of our largest projects will be revealed in the next few months.  These projects remain true to our goals: helping unite and expand the domain industry by offering instrumental resources and services, whether it be by improving our existing services or creating new ones from scratch. We’re committed to helping domainers succeed. 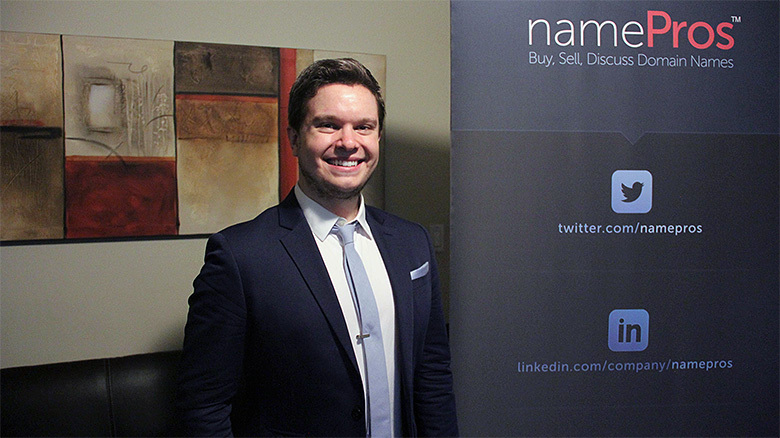 Earlier this year, Eric and I attended NamesCon 2015 to represent NamePros and provide video coverage of the event. We’re excited to have a much larger presence at NamesCon 2016! We’re sending a bigger team, providing even more extensive coverage, and bringing multiple cameras and industry standard video equipment with a professional cinematographer. We look forward to helping grow awareness about this incredible industry and continuing to provide services that facilitate domainers of all skill levels. DomainGang: Many thanks, Edward, for your impressively detailed responses, hoping that our readers will greatly appreciate; looking forward to meeting you again at an industry event. Great article with lots of great info about NamePros here. It’s nice to read about a community of which I am a member and which I can attest to some really big changes going on at NamePros in order to help make it an even better community with even more value to it’s members that it has been. It’s great that Mr. Zeiden took the time to share about things going on at this great community. I am always eager to see what the future might hold for NamePros. When Mr. Zeiden had said above: “We also spend a substantial amount of time listening to our members so that we understand what’s important to them. Then, we do our best to provide a solution that meets their needs.” this really is something that makes NamePros great. The Administration, Management and staff are always there to listen to their members. I have personally spoken with Mr. Zeiden on NamePros and that is something that is appreciated. Many community forum websites do not have people higher up in the organization that a regular member can reach and communicate with. NamePros has that availability, which is just one reason it is such a great place to be a member of. Great interview and great read, a must for anyone in the domaining community!